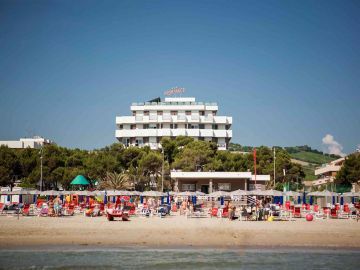 Hotel Promenade lies in front of the sea on the promenade of Giulianova, in Abruzzo, a beautiful region made up of different and emotional sceneries and environments: mountains (Gran Sasso, Maiella), woods (The National Park), historical towns, ancient villages and castles and, above all, a marvellous beach with “golden” sand, where the Adriatic Sea is still clean! 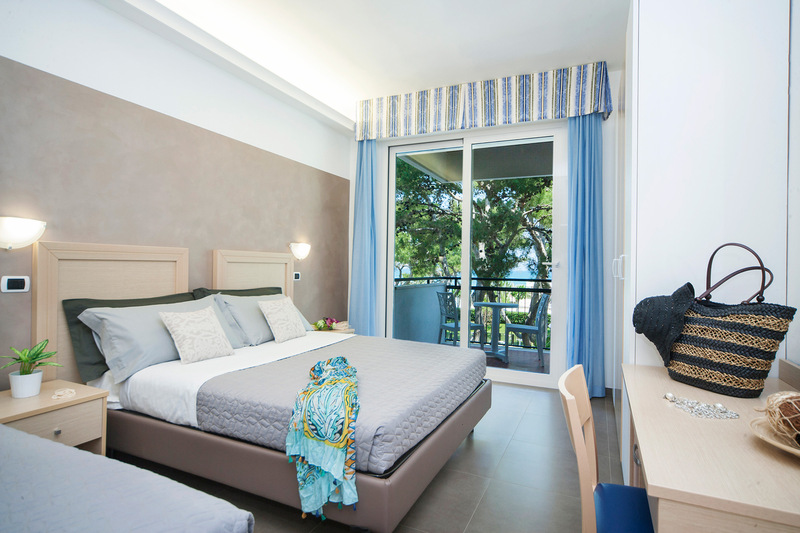 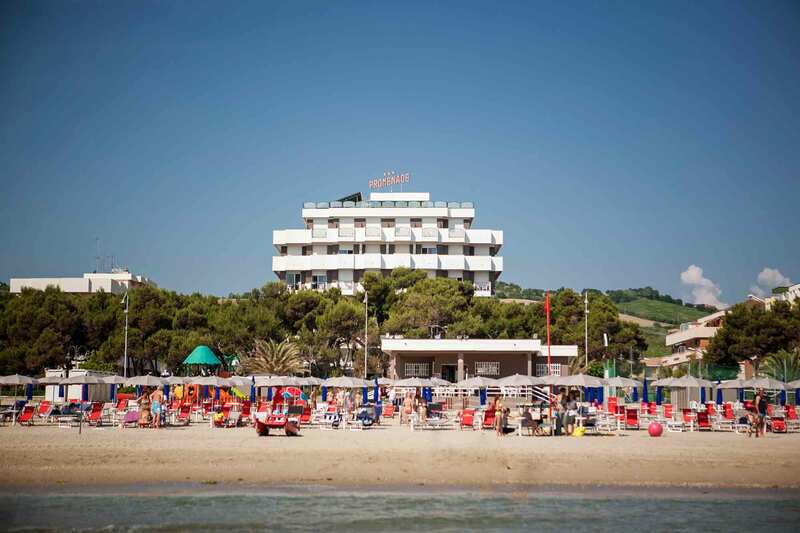 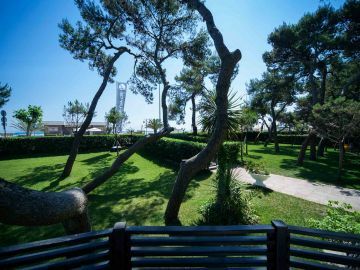 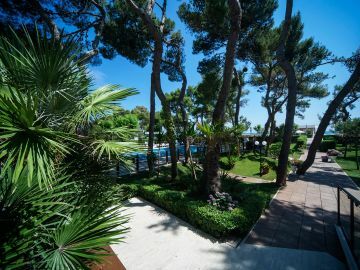 Our best feature is the great private park which, with its fresh scent of pine, leads to our reserved beach. 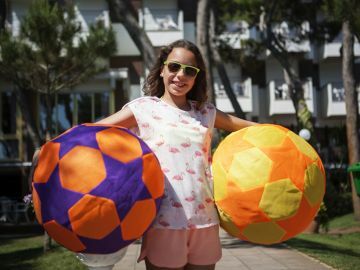 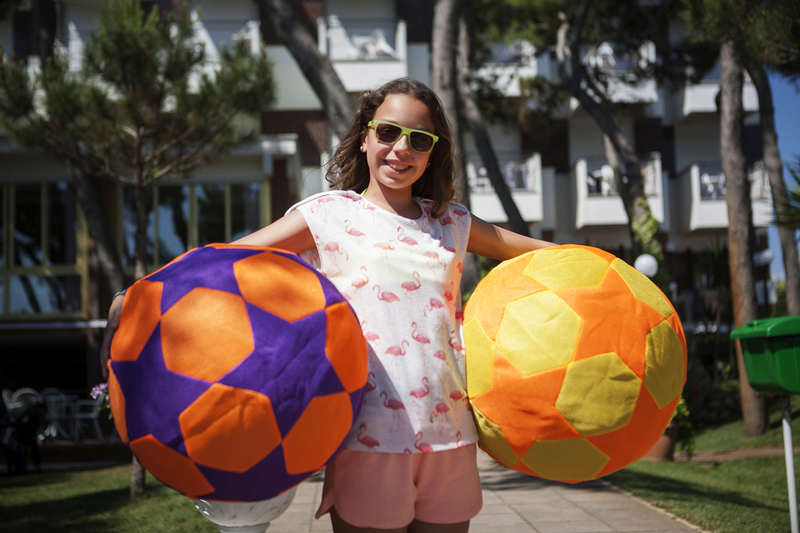 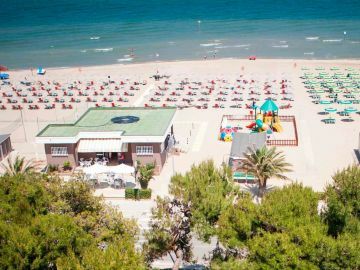 Here we offer, free, beach box, deckchair, sun bed, sun umbrella, bowling pitch, beach volley and table-tennis, a beautiful cafè with a terrace upon the sea, kids-playground, changing tops, animation corner. 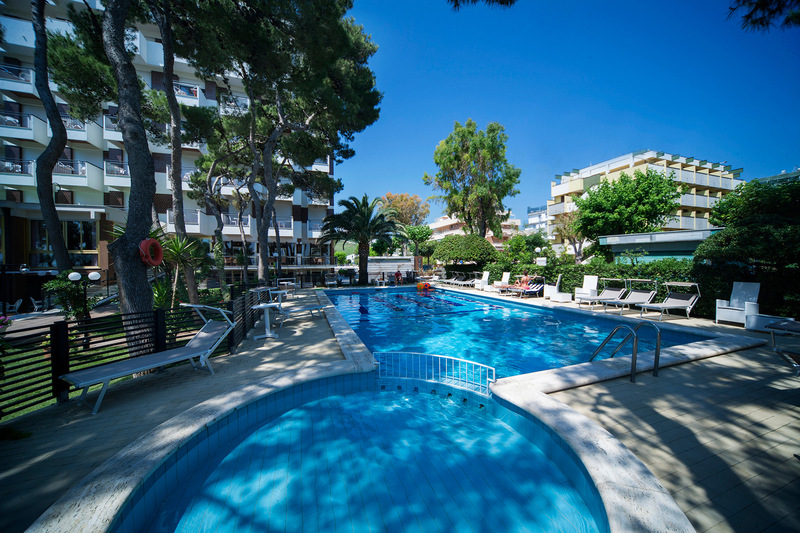 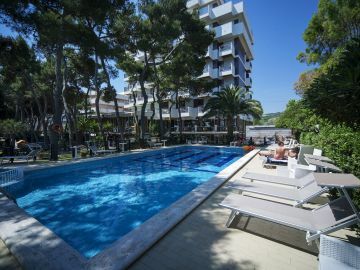 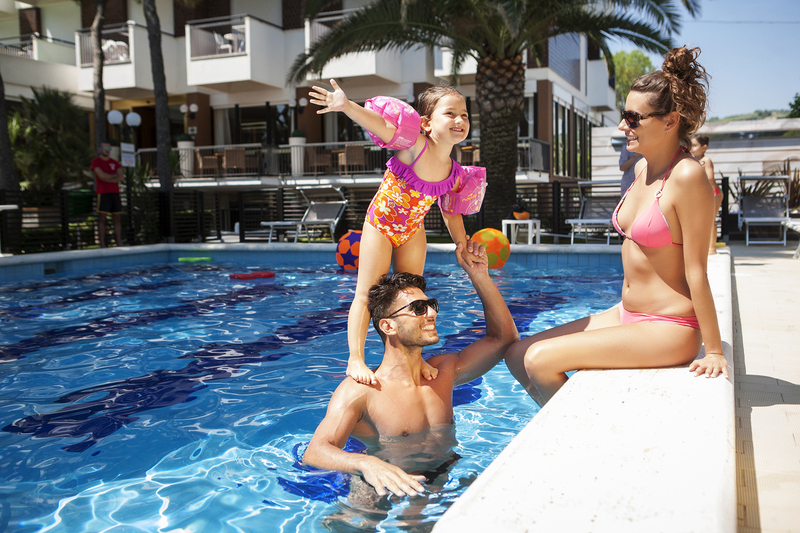 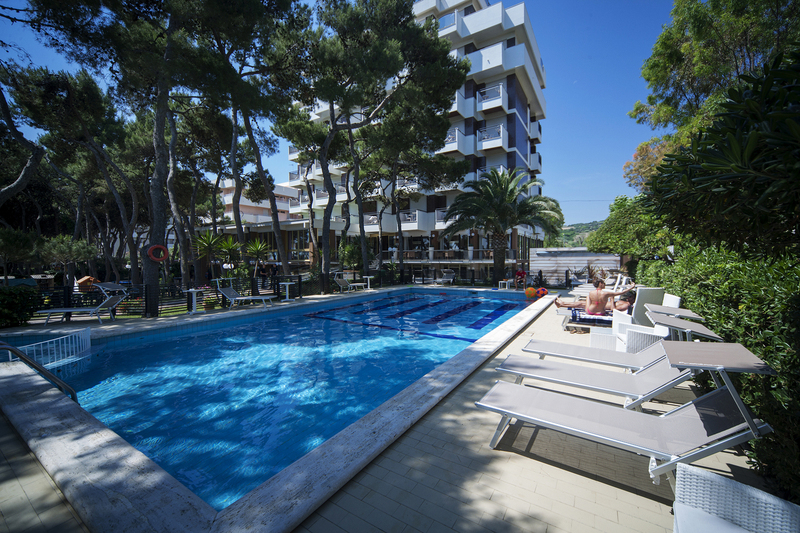 The swimming-pool has a reserved area for kids, the toll-free parking is covered and fenced: you can leave your car and have a walk with our bicycles. 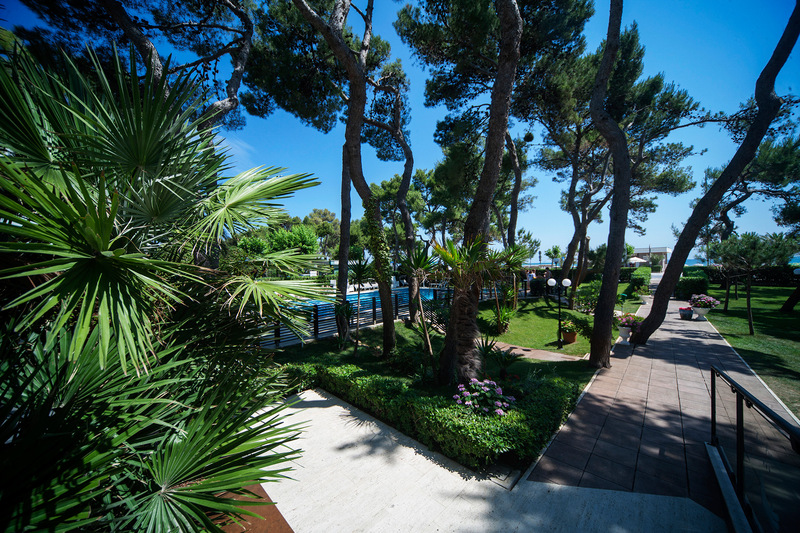 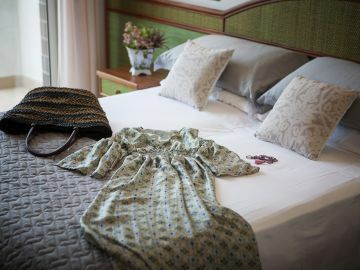 In the attic floor, there is the solarium, with a magnificent panorama-view upon the sea and striking sunsets. 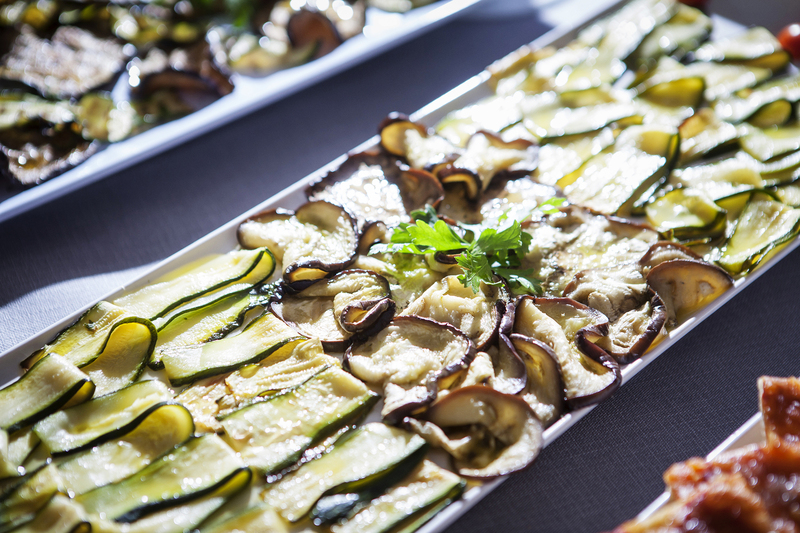 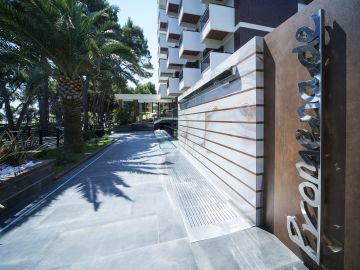 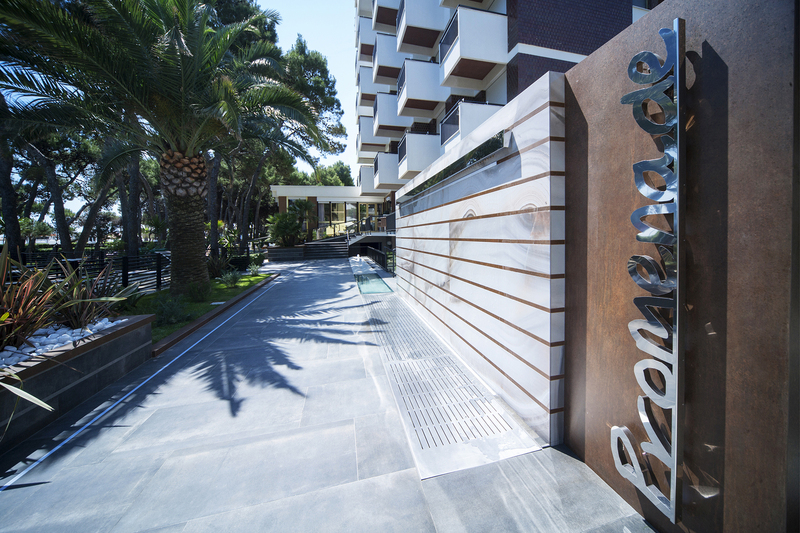 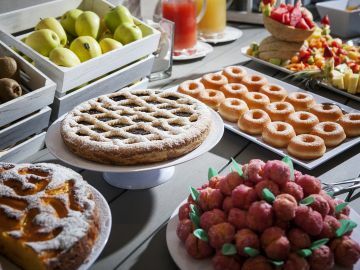 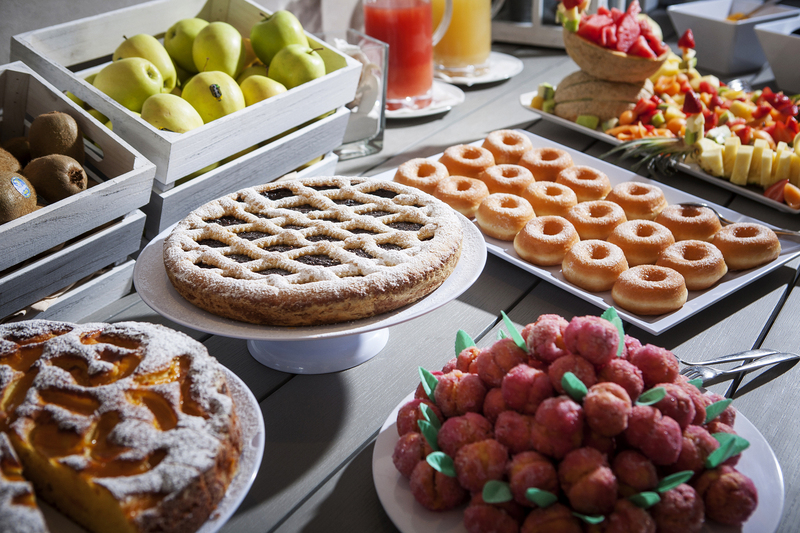 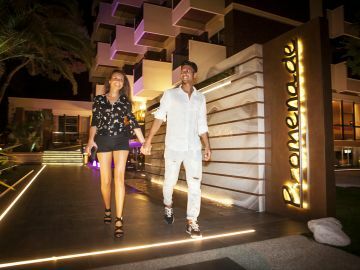 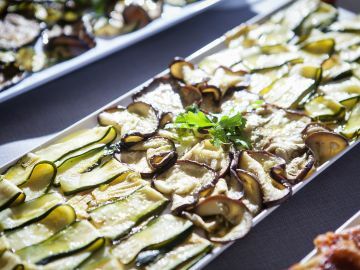 the Promenade Hotel … has it all! 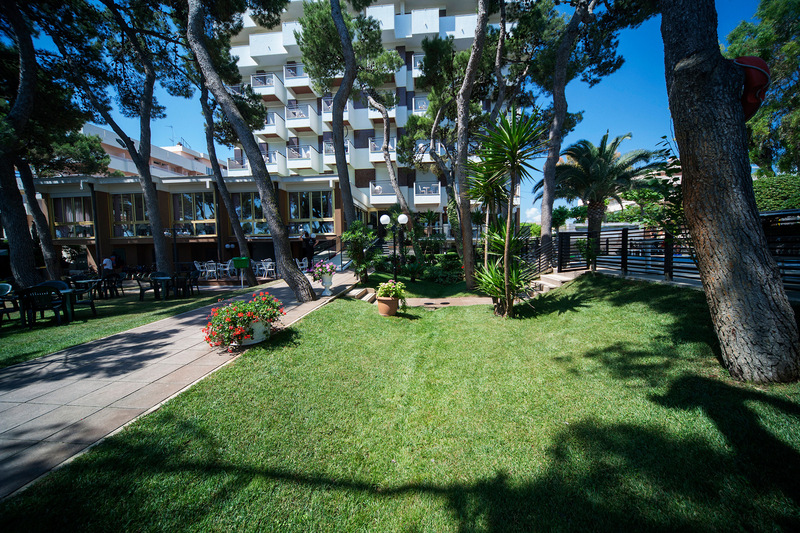 The beautiful pool for your moments of relax in a green oasis just a few meters from the sea. 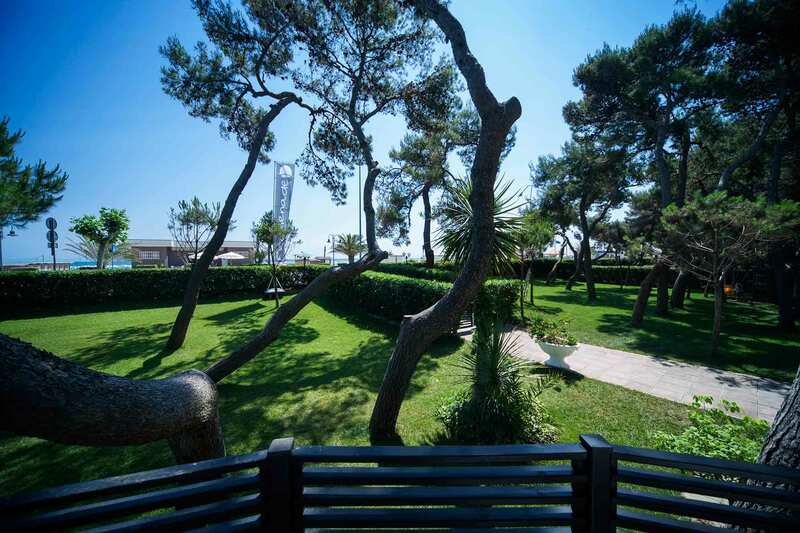 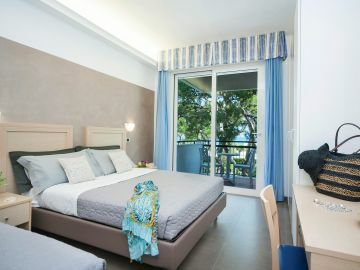 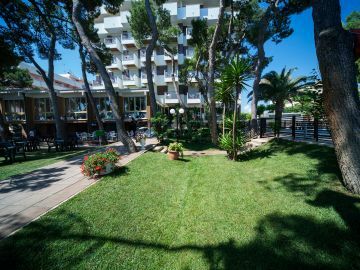 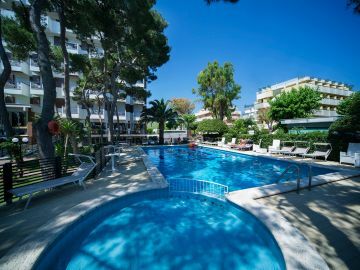 Located in a beautiful wooded park just a few meters from the sea.